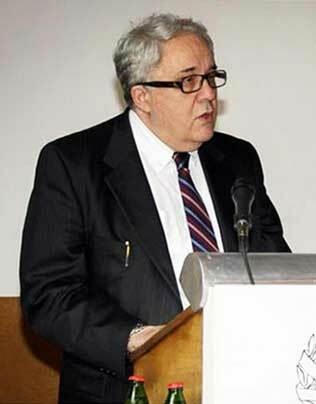 Vladimir S. Kostić (1953) is Neurology Professor at the Belgrade Medical School and a pioneer of research on neurodegenerative diseases in Serbia. He is the founder of the Laboratory for Genetic and Molecular Diagnostics of Neurological Diseases and the Laboratory for Human Neurophysiology. He is also a co-founder of the Center for Memory Disorders and Dementia. For the most part of his research work, in addition to his clinical research, he was also concurrently engaged in relevant laboratory research on animal models and cellular cultures. In the course of his professional training, he spent several years working at the Laboratory for Studying Brain Ischemia of the Belgrade Medical School, at Middlesex Hospital, London and, on two occasions, at the Neurological Institute of New York–Presbyterian Hospital/Columbia University Medical Center. At the Belgrade Medical School, where he was Dean from 2002 to 2004, he supervised 20 master’s theses and 27 doctoral dissertations. He has authored and co-authored around 270 papers quoted in international journals listed by the JCR (Journal Citation Reports), 19 chapters in international books and monographs, seven books and textbooks, and a large number of papers published in Serbian books/monographs and journals, which were quoted 9,000 times. He has given over 120 lectures at international meetings and universities. Continually since 1991 he has been at the head of a large number of Serbian and international research projects. He has reviewed papers in over 55 international journals. He has been a member of the Serbian Academy of Sciences and Arts since 2000 and its President since 2015. He has been an honorary member of the Academy of Sciences and Arts of Republika Srpska since 2016. For his research work, he was awarded the October Prize of the City of Belgrade in 1988 and 1994, the Prize of the Serbian Medical Society for Scientific Work in 1997, and the Prof. Dr. Vojislav Stojanović Prize, of the Association of University Professors and Scientists of Serbia, in 2010. He was also the first laureate of the Prize for the Overall Contribution to Science, instituted by the Belgrade Medical School, in 2011, and also of the Laza Lazarević Prize, of the Serbian Society of Neurologists, in 2013.